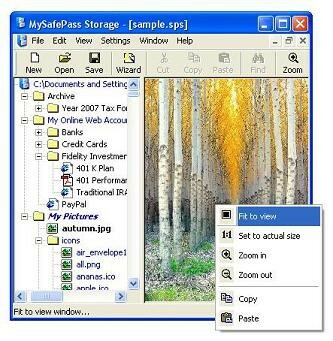 MySafePass Storage allows you to organize and manage passwords, documents and images for all your various Web accounts. It encrypts and saves your data in a single file. MySafePass Editor lets you categorize and keep any number of different user names and passwords and other related information, using one or more master password. In addition, MySafePass Editor provides notepad with encryption and password protection to keep any of your confidential textual notes safe.